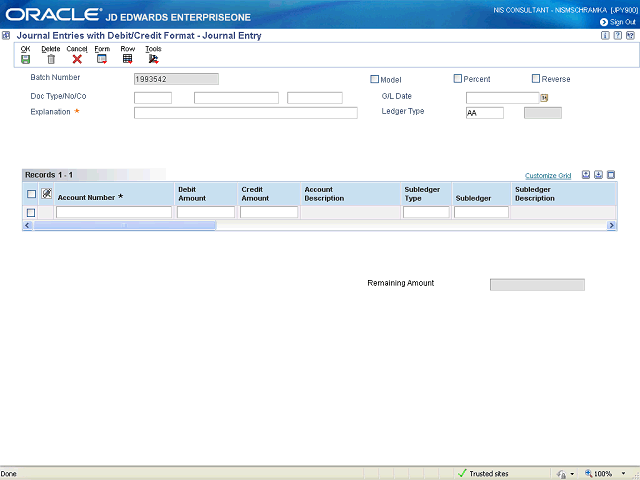 In the G/L Date field enter the date of the journal entry or leave blank to default to today's date. Enter "12/14/09". Note: The G/L Date must be a date in the period this document will post. If your agency's processing cycle (prepare – approve – post) takes 3 days, then 3 days before the end of the month, begin using the next month's date.